The purpose of the USA JU-JITSU ® Team Selection Program is to choose the best athletes with the highest possibility of winning in the specific competition. Qualities of competition vary and the experience of each athlete differs. 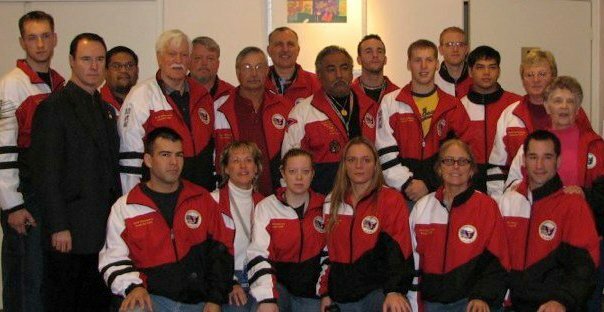 The USA Ju-Jitsu Team Selection Committee (TEAMSELCOM) is dedicated to the attaining of the best positive results for the USJJF National Team. All athletes desiring to apply for the team must be registered with the USJJF according to current regulations, and must agree that if chosen, they will conform to and abide by the USJJF Team Travel Regulations. All athletes properly chosen to compete for a seat on the team will be entered into the USJJF Team Pool from which the team members for the event will be selected. (It should be the goal of all aspiring athletes to secure their place on the USJJF Team Pool, as it is the group from which the team is actually chosen. The Team Poll will be a standing part of the USJJF and an athlete's seating will continue from year to year except as determined by the USJJF Executive Committee for removal for reasons such as inactivity and inappropriate behavior. 1. The top 2 places in each division from the immediately preceding US JU-JITSU National Championship. These athletes have a special seeding. A. An athlete who did not compete at the latest nationals and may be deserving because of recovery from a long sustained injury, transfer from a different category, or desires to come out of retirement may be designated a "wild card" and as such, may participate in the preliminary trials as indicated by the Team Selection Committee. B. 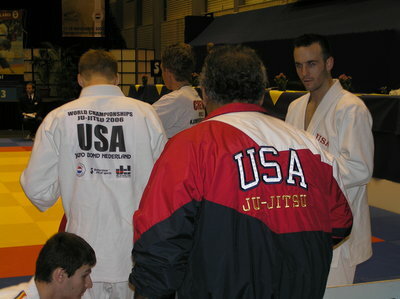 In special cases such as persons now aware of and interested in participating in USJJF competition and possessing unusual and outstanding competition abilities the an athlete may apply to the Ombudsman Committee of the Team Selection Committee for entrance into the basic competition structure of the Team Trials procedure. 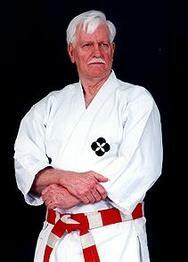 This special waver of USJJF participation must have the endorsement of the Executive of the USJJF and the Chair of the Central Technical Committee in consultation with the Chair of Coaching, the Chair of Referees, and all objections must be duly noted and considered. The TEAMSELCOM members will be chosen from a variety of committee positions, from different parts of the country, different styles, and will include at least 5 persons. The Executive of the USJJF will be ex-officio with no vote except in case of tie and the same with the Chair of the Central Technical Committee, who will oversee the Team Selection., appointing a qualified person to act as Chair for the selection of each specific event selection. 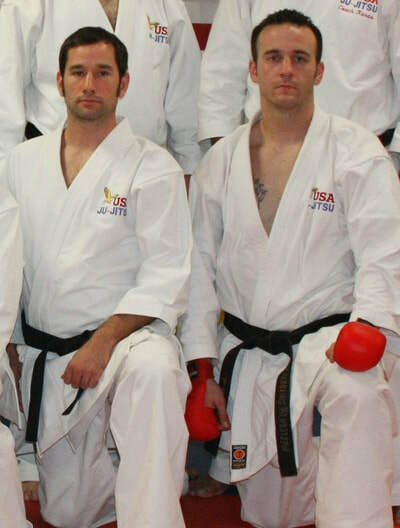 Appointments to the TEAMSELCOM are in the sole control of the USJJF Executive Board. An example of a properly setup TEAMSELCOM is as follows. The selection may be taken by simple acclaim or be as intensive as triple elimination competition, depending on the difficulty in making a clear selection for the team. The team selection committee will announce the method for the selection. In the case of tie or great difficulty in assessment, the TEAMSELCOM may ask any athlete to enter for competition again against any athlete or the TEAMSELCOM choosing so that the qualification of that athlete can be fully determined. In the case of a clear choice in a near unanimous vote by the TEAMSELCOM, any division may be declared filled and no further investigation or competition necessary for selection to that division. * WINNER referees to the placing in the immediately preceding National Championship. Any person properly notified (by mail and telephone) that does not report for the trials will advance each seeded person one position for the first position. 1. The highest (first) place winner that won in the first round single elimination is awarded a bye. 2. The next highest (second) place winner fights the fifth highest place winner. 3. The next highest (third) place winner fights the fourth place winner. 4. The two winners of the second round single elimination (listing #2-#3) now fight each other for the right to fight (listing #1) the highest place winner that won in the first round single elimination. This match will take place in Round 4. 5. The winner of the third round single elimination now fights the (item #1) highest place winner that fought and won in the first round single elimination, winning two out of three rounds (three minute matches). The 3 athlete Kumite Teams will be selected from the top 4 place finishers in the competition by vote of the senior referees and the national senior coaches. 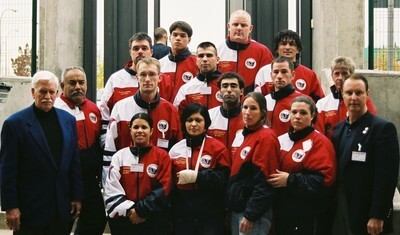 The team requires large athletes 2 or more may be in the heavyweight divisions and thus not selected under the one per category selection process. If an athlete cannot attend the games for whatever reason the next highest finisher will be chosen. 1. There shall be three rounds of competition. 2. After the first round is completed the scores will be totaled and the field of entries cut to 16 for the second round. 3. After the second round is completed the scores will be totaled and the field of entries cut to 8 for the third and final round. 4. The final round is performed three times, the determination of the winner being by the accumulated total score of all three attempts in this round. 5. The ordering of the competitors for the second and third round shall be ordered with the competitor with lowest score, and competitor with the highest score going last. 1. In all matches two panels of judges will be used, scoring independently. 2. If, after round one or round two, the two panels are in agreement on the first 4 places, the judgments will be confirmed and the next round process begun. If the judgment cannot be confirmed, an additional second and third competition will be performed to conclude the round. After the additional second and third competition, the scores from all three competitions will be added and the field cut to the necessary quantity of entries for the next round of elimination. 1. Only citizens of the United States of America can participated in official team selections for the United States of America National Ju-Jitsu Team. a. 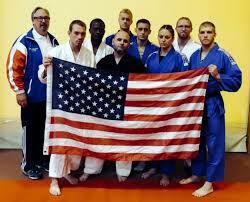 They must be members of the USJJF for one year before date. b. They must have a current referee license in good standing. c. They cannot participate as a referee with contestants from their own club affiliation or state association without the written consent of the contestants and the coaches before the contest starts. d. The judging panel may not have a style interest of more than two members. 3. The Referee Council Chairman, Control Commission Head, and the Match Area Supervisors must sign the Referee Qualification Log for approval of participation. 4. All Arbitrators must keep a written log of match points as they are awarded. 5. The Records of all protests must be kept and a summary made available to all Tournament Officials and Executive Officers of the USJJF.